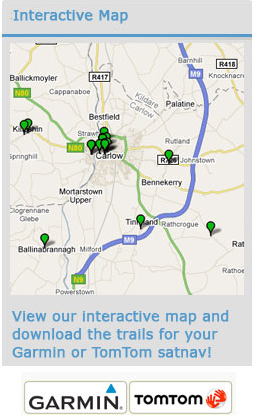 Standing firm in the heart of Carlow’s farmland are the remains of 6. Agha Church which has been described as ‘one of the most striking examples of pre-Romanesque architecture in the country’. 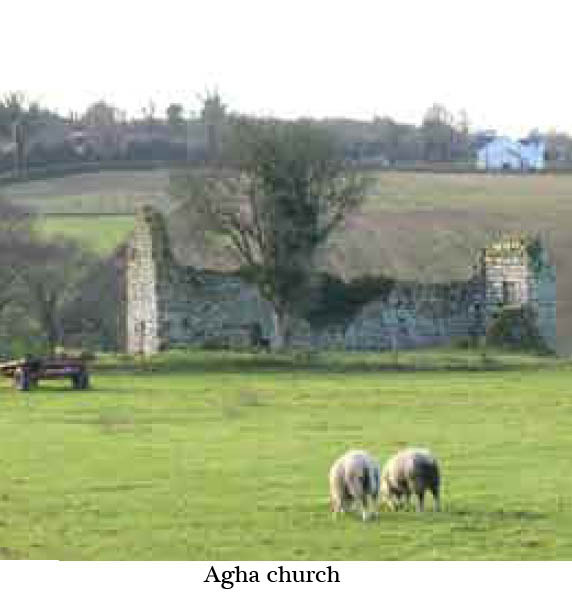 Agha’s early history is obscure although it is mentioned in the Life of St. Fintan and may have been subordinate to Fintan’s monastery at Clonenagh, Co. Laois. 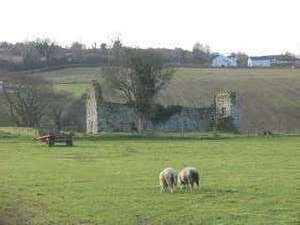 In 866 Agha, which was positioned on the borders of the Irish kingdom of Uí Dróna, was raided by the Vikings and the men of the neighbouring kingdom of Ossory. The present church, part of which dates to the tenth century, may represent a rebuilding which was undertaken in the wake of that attack. The tenth-century phase of the church consists of the west gable and part of the south wall. This phase is characterised by very regular and well-coursed masonry. Field stones of similar dimensions were carefully chosen and the overall uniformity of the masonry is unique. 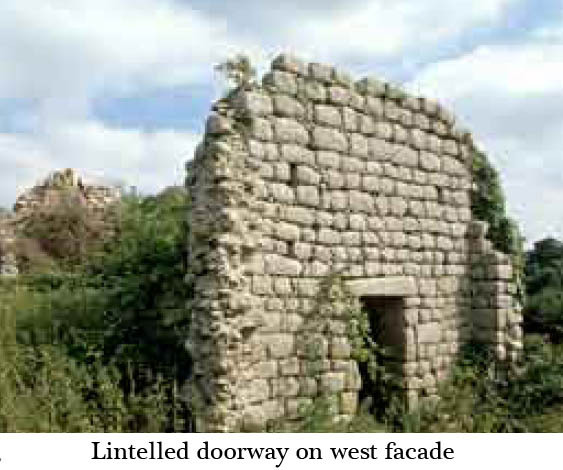 Large square blocks were used to form the lintelled door surround and deep antae are present. The character of the masonry in the second phase of the building is very different and lacks the regularity of the earlier phase. 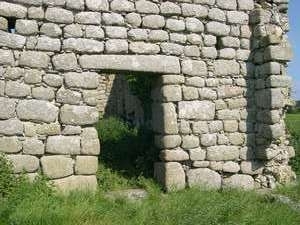 It is possible to clearly see the distinctive differences between the two styles in the south wall of the church. The later phase appears to date from the twelfth century and the fact the church was extended at this time may indicate an increased population in the area. This coincided with a reforming period within the Irish church and perhaps a boost in church attendance. Close to the church are two cross bases and a medieval sundial. The sockets in the cross bases suggest that they would have supported fairly small crosses, perhaps similar to the Nurney cross. The area around the church was used as a burial site for unbaptised infants up to the nineteenth century. Parking: Limited NOTE: While Agha church is located in the middle of a field, it can be clearly seen from a gateway immediately adjacent to the roadside. Romanesque: Style of early medieval architecture characterised by round arches. Sometimes called “Norman”. Antae: Projections of the side walls of early churches to support roof timbers.